The time has come, you’ve decided homeschool your children. Right now it feels like one of the biggest decisions of your life. Perhaps you are having issues with your children’s school and the feather that broke the camel’s back has fallen so you’ve pulled them out. Maybe you’ve been dreaming of homeschooling since they were tiny but the first days of kindergarten are looming and you are realizing you’ve got to commit to create to this crazy idea. Maybe you’ve been at this homeschooling thing for years and you are feeling tired and weary and wondering if you should continue on. No matter your life circumstances of the moment know WHY you are homeschooling will help you make the big and the small decisions about your family’s homeschool. Let’s talk about some common reasons to homeschool. You are concerned about the environment of the schools. Perhaps your child was a victim of a bully. Maybe they have learned some inappropriate things from friends. Perhaps you are worried about some of the violence we often see displayed on the nightly news. What ever it is about schools that have you concerned you feel like you can provide a better learning environment at home. You’d like to provide your children with an education centered on a religious world view. It is no secret that God has been removed from the public school classroom. Even if you are blessed to live in a community with many Christian teachers these teachers are expressly forbidden from teaching from a place of faith. Dissatisfaction with academic instruction. In the home setting any parent can structure their child’s education to the individual child’s learning style and interests. Chances are the outcome will be a better educated child. Child has special needs. Whether those needs be academic, medical, behavioral, some combination, or something completely different… parents have the unique ability to structure the child’s environment for greatest success. There are so many other reasons to homeschool that I have not listed here. 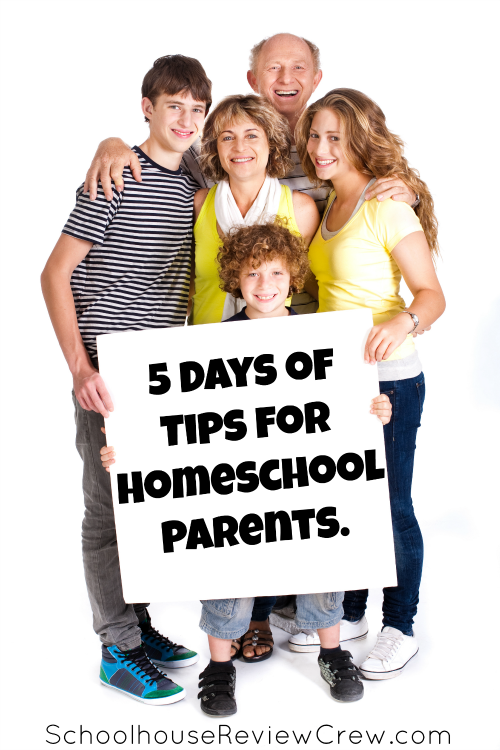 These four comprise just the top 4 that are often listed by many homeschooling researchers. They are enough to get you thinking about this super important subject. If your family is like mine then your “WHY” will probably encompass a few of the above or perhaps even all of them. When I feel the need to revisit our why I will sit down with a paper and pencil and a prayer to God to remind me of His calling. Then I just start writing a long, often discombobulated, crazy list. Here are some questions to ask yourself while you are making your list…. What are our our family’s spiritual goals? Why does homeschooling provide the better environment or way of life for our family? What non-academic goals do we have for our family? What are our our family’s educational goals? What do we want learn? Why? If you are a veteran homeschooling family you may also want to make a list of the good things that have come about since you started homeschooling. Now post that list somewhere where you will see it often. Or… if you are bit more structured you can turn your list into some statement…type it off, print it out, and maybe even frame it. Here is an example of one great “Why” statement. Why we homeschool… We homeschool in order to create an environment where we can develop a strong relationship with our Lord God and with each other. We homeschool in order to learn through a Christian worldview. We homeschool in order to become life long learners. We homeschool in order to develop positive character traits like diligence and perseverance int he face of academic and life struggles. We homeschool to help us discover God’s plan for all of our lives. When creating your ‘Why’ statement be purposeful and prayerful. Revisit it from time to time as your WHY may grow or change and that is OK. Use your WHY statement in moments when you need support and encouragement. 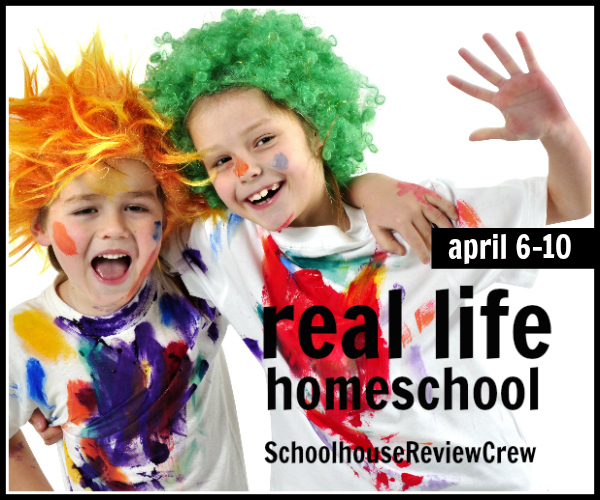 The members of the Schoolhouse Review Crew are participating in a 5 day series… Tips for homeschool parents. I encourage you to visit their blogs and read up on their best tips too! I’m continuing today with my series on Real Life Homeschooling. Yesterday I shared with you what our crazy schedule looks like most days. It is pretty chaotic as you can see. The feedback I received from that post was a bit overwhelming. It seems to be a relief for other moms to learn that they are not alone stumbling through the daily chaos. Today I share with you my homeschooling fears. I think people perceive me as pretty confident in my parenting and homeschooling. Truthfully though I carry many fears about this homeschooling thing. 1. I’m afraid that some day my kids will hate me because their childhood went against the grain of society. Homeschooling becomes more common by the day so this fear ebbs a bit a time but I still fear that they’ll decide I some how screwed them up because they didn’t have the typical traditional school experience. 2. I’m afraid that that I’ll miss teaching them something vital. I laugh at this one. It’s so silly. No traditionally schooled child learns absolutely everything (and they forget half of what they learn) so I really don’t why this one bothers me. It makes me decide grammar is super important one week and not so much the next. I mean… when in life do you ever diagram a sentence? 3. I’m afraid I’m teaching them the wrong way. I’ve thought about this one more these days as the internet floods with what looks like ridiculous Common Core math where it takes 100 steps just to figure out what 28 plus 32 equals. I have my children to figure this out the way I learned it. Will they go take some standardized test some day and be flunked in math because they do things my way? 4. I’m afraid I’m not doing enough! If our schooling isn’t blog/pinterest worthy, if we aren’t in 20 different activities, if we aren’t cruising through all of our curriculum, if we aren’t visiting with friends a million times a week…. if if if if if… I always feel like there is something I’m not teaching them (Latin anyone?) or some experience they are missing out on. No matter how much we are doing I am convinced it just isn’t enough. 5. I’m afraid that homeschooling will damage our relationship. Right this minute my son is working on an essay. Each time he hands it to me I have to REMEMBER and REMIND MYSELF to find the things he does right and not just harp on the things he needs to work on. I’m blessed with incredibly bright children. I have high expectations however our relationship is far more important than learning to write the perfect essay. 6. I’m afraid that when my children grow up and move on in life I won’t know what to do with myself. Someday I won’t be a homeschooling mom any more. My entire life is wrapped up in educating and disciplining my children day in an day out. What will I do when that is over? That scares me! 7. I’m afraid I’m so caught up in the details that life is passing me by! While I’m so worried about whether or not my son can write a great essay are more meaningful experiences passing us by? Taking 100% responsibility for your children’s education… yeah this is scary stuff! Logically though I know that what I am doing is the absolute best. And just like I said in yesterday’s post, when I come up for air I can see the fruits of my labor. Thankfully I have a husband who cares enough to point out the good things to me. I’ve said it before and I’ll say it again… my God is the one really in control of everything and if I trust Him He will ensure my children and I get everything we need.